As we inch closer to the most Spooktacular time of year, I’m on the search for some fun Disney themed pumpkin ideas. What better place to look than the Disney Family website. They are always full of super fun Disney crafts and they did not disappoint with these ideas. 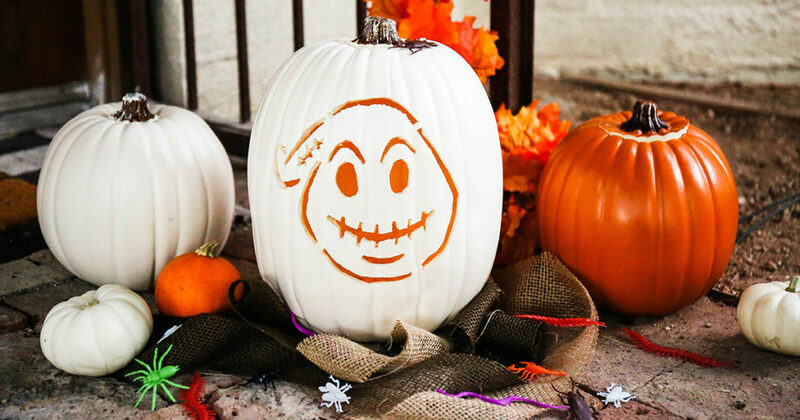 First up is An Oogie Boogie Emoji Pumpkin Carving. If you are a fan of The Nightmare Before Christmas, then this is the perfect pumpkin carving idea for you. Next up is the Winifred Sanderson Emoji Pumpkin Carving. This is sure to put a spell on you and the Hocus Pocus fans in your family. These Lady and the Tramp pumpkins are absolutely adorable. This is a super cute craft that you and your little ones can do together. Who does not love all those Mickey pumpkin displays throughout the Magic Kingdom and at Disneyland? This cute Main Street Mickey Pumpkin Display is sure to bring some Disney magic into your home! Here’s one more super cute craft that can make a Spooktacular Disney display in your home this Halloween season. Mickey Halloween Pumpkins 4 Ways! These are so adorable and would be a great craft to do with your little ones this Halloween season.